HTC is one company in desperate need of a comeback. After being the poster child of Android success until the last quarter of 2011, it all started sliding down for the Taiwanese phone maker, and it’s been trying to regain sales and market share ever since. And now, as it was the first to bring a mass 1080p device to market with the 5-inch HTC Butterfly, the company is enjoying a small comeback. It’s still in the early stages, but the Butterfly seems an important part of what’s happening. “Based on our initial feedback, the phone has become very popular in Japan and we have been endeavoring to boost our shipments,” HTC said. The HTC Butterfly will start arriving in larger quantities around the end of the month, according to HTC North Asia president Jack Tong. Interestingly, HTC is also said to be changing its strategy, letting flagship devices like the Butterfly sell longer on the market. That is in stark contrast with what market leaders like Apple and Samsung are doing. Apple for instance is said to be actually speeding up its product cycle to introducing two products a year instead of just one. Also, HTC plans to widen its presence in more affordable devices, that should allow it to grow its presence in China. In Japan its the Butterfly J. AFAIK, Butterfly isn't in anyone's hands yet although Droid DNA and Butterfly J are. though I'd say it'd be in many hands soon. Nice! I would really like HTC to regain their lost market share.. They always prove that they are "Quietly brilliant" !! Good to see HTC getting the boost...i hope this encouragement propels them to create even more awesome android phones with BIGGER batteries please! Yeah right.. I just wish that they improve their update system for the non-rooted users(i m rooted n flashed cm10.1) Other is the PRICE..it's always high in my country.. But.I love their Build quality ! Any mention of it being released on T-Mobile or AT&T? I need to see numbers. 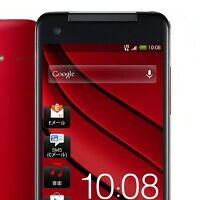 but it's expected to sell well while other phone makers are yet to release their 1080p phones coming 2013. I don't believe that HTC will leave Butterfly as their flagship for longer than 6 months. They are saying that now b-c Butterfly is selling well, but once sales is stalled I'm sure HTC will not wait. Good for you, HTC!! I really hope every company is doing well so we will keep seeing good phones coming out!! I need to see numbers because there are different definitions of selling well for each company. Next thing is to release flagship on all carriers in the States... Screw carrier exclusivity. Do what Samsung did with the SGS3. CANT WAIT FOR THEIR COMEBAAAAACK! no wonder!! HTC always is best.. I went to Verizon to play with the DNA; Its a very good phone but to me it didnt feel like a phablet, so I wouldnt put this in the category of the Note 2 instead it would rival the S3. Sense has improved but I still like the S3 over it. The screen is real nice on the DNA though. I have the DNA and quite frankly I love it. I had the Rezound before it, and that phone, other than the screen, was just ok (I was happily using it til it went through the washing machine). I do feel that HTC should have made a removable back to give the option for an extended battery (at the cost of a thicker phone for those who are interested) and had removable micro SD card (again for those who want it, I don't store music on my phone, so it is irrelevant). I would happily take that phone a few mm thicker and have a bigger battery. The battery life is far better than the RAZR and Rezound I used before it, but bigger is better! To tell the truth it doesnt feel that big and the DNA is way better then the one x. I played with the Note 2 in verizon also and then checked out the Iphone 5 and I almost went crazy; I dont understand how people can use something so small lol. Samsung and HTC is definitely prepping us for bigger phones soon we are going to be laughing at how small the Iphone was. Previous Rezound user here too and I'm loving my DNA!!! this is way better than oppo 5! If only it would come to AT&T instead of the HTC ONE X+ we got stuck with. Just like with the Atrix line we were shafted with instead of the Razr line. Verizon gets off of the Android greats. Well except for good old SAMMY. I love my GS3! Got to play around with this at a Verizon store- what an amazing screen. Responsive. This will truly give the Note 2 a run for it's money on Big Red. Hope it's exclusive period is not too long- way to nice of an option to be on only 1 carrier.